When Dr. Sue Ellen Cox began practicing dermatology over 25 years ago, there was no such thing as “aesthetic dermatology.” An early and passionate believer in the power of effective, minimally invasive aesthetic treatments, Dr. Cox worked hard to shape the field with her values: rigorous scientific evaluation of every treatment, an emphasis on safety, and appreciation for subtle, natural-looking results. 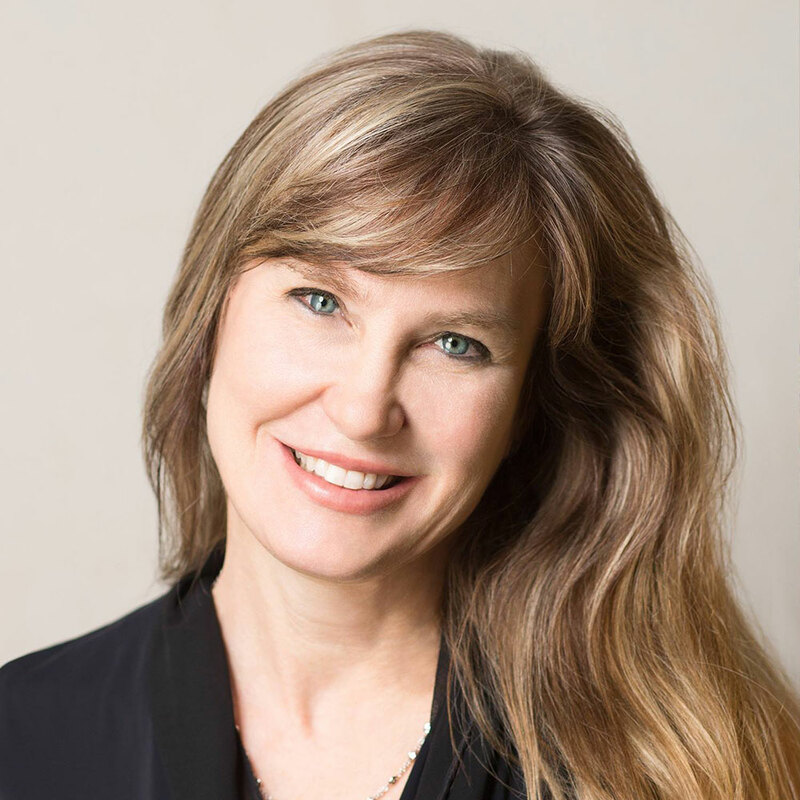 Dr. Sue Ellen Cox is a board-certified dermatologic surgeon, founder and medical director of Aesthetic Solutions in Chapel Hill, NC. She is an internationally recognized expert in facial rejuvenation using lasers, injectable fillers and neuromodulators. Dr. Cox runs an active clinical research center, and has performed clinical trials and pivotal studies on most neuromodulators and fillers, including Botox, Dysport, Juvéderm, Restylane, Belotero, Voluma, Kybella, Restylane Silk and Latisse. Dr. Cox has devoted her career to advancing aesthetic medicine and advocating for natural results and compassionate patient care. Dr. Cox is a contributing editor for the Journal of Dermatologic Surgery, an editor for Modern Aesthetics, and has authored or co-authored more than eighty peer-reviewed articles and book chapters. Dr. Cox serves on committees and boards for the American Society for Dermatologic Surgery, the American Academy of Dermatology, and various pharmaceutical and device manufacturers. Dr. Cox lectures internationally, directs national workshops, and here at home teaches cosmetic dermatology clinic to residents at the UNC School of Medicine and Duke University Medical Center. Dr. Cox is honored to be recognized by her organizations, peers and patients as an accomplished physician dedicated to serving patients, improving education and advancing aesthetic medicine. Dr. Cox traveled to Washington, D.C. for the American Academy of Dermatology (AAD) Annual Meeting. Apart from catching up with colleagues and filming for the Galderma Women In Aesthetics Leadership Council, Dr. Cox gave 5 lectures (listed below). March 1st: Soft Tissue Augmentation and Neuromodulators – Simultaneous Cadaver Prosection and Live Patient Injections. March 1st: Live Demonstration: The State of the Art of Aesthetic Dermatology. March 3rd: Botulinum Toxin: Video Instruction and Live Panel Discussion. March 4th: Hands-on Practical Anatomy for Dermal Fillers. March 4th: Soft Tissue Fillers: Video Instruction and Live Panel Discussion. Dr. Cox met with aesthetic experts from around the world to discuss prevention, diagnosis and treatment of complications associated with dermal fillers. Dr. Cox met with aesthetic experts in Pheonix, AZ to share thoughts through presentations and demonstrations. Dr. Cox traveled to Copenhagen, Denmark to gather with aesthetic experts from around the world at the Merz Expert Summit to share thoughts through presentations and live demonstrations. Dr. Cox recently traveled to Phoenix, AZ for the ASDS Annual Meeting. Apart from catching up with colleagues and learning about the latest in dermatologic surgery, Dr. Cox hosted ASDS Unplugged, Facial Finesse Part 3: Advanced Surgical Videos and Novel, Sophisticated and Advanced Approaches to Neuromodulators. Dr. Cox was in South Korea touring a production facility for a new Botox-like product she tested in clinical trials at Aesthetic Solutions. Dr Cox was one of four dermatologists from the US invited to tour the plant ahead of it’s coming US launch! Dr. Cox traveled to New York with the ASDS where she directed an Advanced Injection Techniques course. Expert faculty lead case-based presentations and live patient demonstrations to present diverse approaches using different structural tissue layers for the precise placement of injections to improve outcomes, minimize complications and enhance natural appearing results. Dr. Cox traveled to Chicago for the 2018 American Academy of Dermatology Summer Meeting. Apart from catching up with colleagues, Dr. Cox directed Hands-on: Practical Anatomy for Safe Filler Injections. Dr. Cox traveled to San Diego, California to the American Academy of Dermatology 2018 Annual Meeting. Dr. Cox is seen here giving one of five total courses and talks she presented during the conference, serving as a Director of a three-hour session Soft Tissue Augmentation and Neuromodulators – Simultaneous Cadaver Prosection and Live Patient Injections. Dr. Cox traveled to Montreal to attend the Merz Aesthetics Expert Summit, an exclusive scientific event where 300 leaders in aesthetic medicine meet to share their latest thoughts through presentations and live demonstrations – and catch up with colleagues from around the world. Dr. Cox delivered three workshops at the American Society for Dermatologic Surgeons 2017 Annual Meeting in Chicago, IL. She is shown here presenting Straight Talk About Devices, discussing current non-surgical fat reduction technologies and traditional tumescent liposuction. Dr. Cox is also pictured (top right) with Dr. Jeffrey Klein, the inventor of tumescent liposuction. Dr. Cox just returned from a Revision Skincare Advisory Board meeting in Dallas, with a fascinating behind-the-scenes look at product science and production. This clinically-proven skincare line includes favorites like Nectifirm, Intellishade and DEJ cream. Dr. Cox recently returned from the American Academy of Dermatology Summer Meeting in New York. She directed a hands-on workshop on safe, effective filler injection technique. This workshop featured hands-on injection instruction using transparent skin-simulation models. Thanks to everyone for an amazing class! Dr. Cox was delighted to be featured as a speaker at the North Carolina Dermatology Association 2017 Summer Meeting. One of the few representatives of aesthetic medicine, Dr. Cox spoke about the essentials of safe, effective injectable treatment. Dr. Cox traveled to Sonoma, California to serve in a recent gathering of the Industry Advisory Council of the American Society for Dermatologic Surgery. Formed in 2003, the Industry Advisory Council provides a unique forum for industry representatives and leaders of the ASDS to establish collaborative opportunities through meaningful dialogue about the profession, ultimately improving the state of aesthetic medicine. Dr. Cox recently returned from Allergan’s Ignite Possibility seminar in Chicago. This invite-only event is for the country’s top physicians for Botox and facial fillers and features advanced topics in injectable procedures. Dr. Cox traveled to Orlando, Florida to the American Academy of Dermatology 2017 Annual Meeting. Dr. Cox is seen here giving one of SIX total courses and talks she presented during the conference, serving as a Director of the Hands On Filler Course. Dr. Cox just returned from a great weekend of training in Dallas. Galderma GAIN provides top aesthetics experts with advanced training in facial anatomy and injection technique. The training involved talks as well as hands-on trainings with a cadaver dissection workshop. The training focused on Restylane dermal filler, Dysport, and Sculptra products. Dr. Cox just returned from New Jersey, where she was working on development of validation scales used to objectively measure filler treatment in the lips and around the eyes. Dr. Cox recently traveled to the annual American Society for Dermatological Surgery meeting in New Orleans. Apart from catching up with colleagues and learning about the latest in dermatologic surgery, Dr. Cox spoke on the topics of liposuction and cellulite treatment. Dr. Cox traveled to the Czech Republic to attend the Merz Aesthetics Expert Summit in Prague. The MAEXS is an exclusive scientific event where leaders in aesthetic medicine meet to share their latest thoughts through presentations and live injection demonstrations – and catch up with colleagues from around the world.